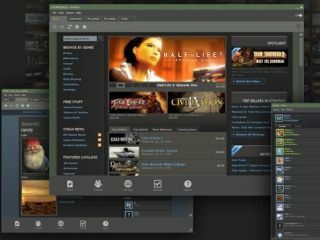 Valve's Steam PC gaming service is set to get a full overhaul next week, with a new user interface bringing gamers "a brand new Steam," according to the developer. Steam's new user interface will be available as of this coming Monday, 26th April and has been intensively tested out for the last two months. The details are posted on the Steam website which notes: "The beta has been a huge success. The number of you who participated exceeded all our expectations, and so far you've created 25 thousand posts to the beta user forums. As a result of your participation, the Steam team has had the feedback required to make the new Steam client more reliable and useful than ever." If you really cannot wait and want to have a sneak peak before Monday, then head over to the beta, which is still open. Valve promises better ways of interacting with your mates online, easier-to-digest news updates and improved usability in general.